This is the 2012-13 Mentor-Mentee Project developed by Rhonda Clough, assistant professor in the Agriculture department, and Joshua Henik, instructor in the Agriculture department. Agricultural professions have traditionally had a high level of occupational hazards. The Bureau of Labor Statistics, in 2012, identified the Agriculture, Forestry, Fishing, & Hunting Industry as having the most work related fatalities annually (24.4 per 100,000 full time employees). The risk of injury and fatality is an ever present danger for students on campus, on internship, and recent completers working in the industry. Developing a culture within the agricultural community that places the safety of its employees above the productivity of the industry is integral in preserving lives and livelihoods. The goal of our project was to develop learning modules that would develop an understanding of occupational hazards and appropriate response techniques associated with an agricultural workplace. The theory behind our rational was that if students were presented with a safe method of addressing high stress situations in a classroom, they would be more likely to instinctually react appropriately when faced with potentially hazardous or life threatening conditions in the workplace. In order to develop a comprehensive curriculum addressing the needs of the agricultural industry in regards to safety, adequate background information needed to be gathered. In addition, understanding and demonstrating proper safety protocols needed to be learned by the instructing team (Rhonda Clough & Joshua Henik) before being taught to students. Both team members attended the 2012 Midwest Rural Agricultural Safety & Health (MRASH) Conference in the fall of 2012. 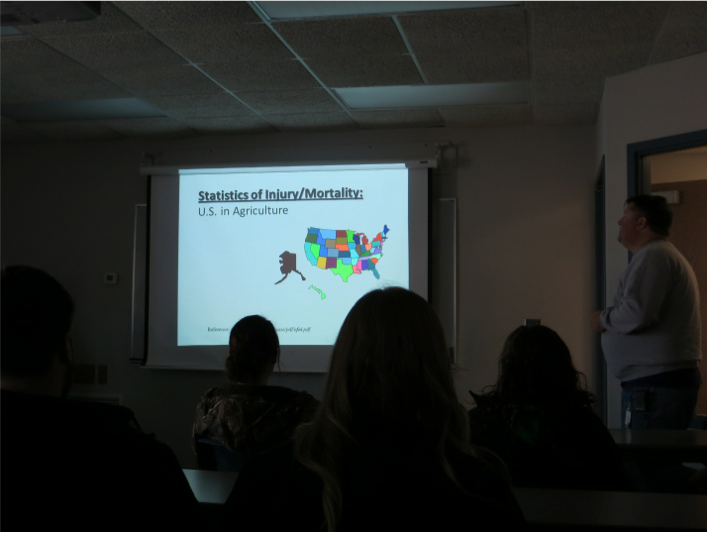 This three day seminar focused on the dissemination of recent research on occupational hazards and safety protocols as they related to the agricultural industry. In addition, a significant portion of the program focused on the collaboration of industry representatives, OSHA safety officers, and university researchers from around the Midwest. An immediate need was identified in addressing the hazards associated with confined spaces such as grain bins and animal confinement operations. A leading cause of agricultural fatalities is associated with asphyxiation due to uninhabitable environmental conditions such as low oxygen, high carbon monoxide, and high sulfur dioxide levels. Additionally, grain entrapment/engulfment has also contributed to a high number of agricultural related fatalities. As agricultural operations continue to expand and grow in size, the presence of OSHA and other safety standards will become increasingly stringent. Compliance will not only improve the safety of those individuals working in that environment but will also impact the revenue of an operation. This impact on revenue may be administered through incentives given by insurance companies for following safety protocols, or by hefty fines imposed on those operations which are deemed out of compliance. The consensus of the conference attendees was that safety needs to be taken seriously and that a strategic effort needs to be made to train individuals both currently working in the industry and pursuing employment. In an effort to apply the information learned from the MRASH conference we were able to apply a generous financial gift from Farm Credit Services of America to purchasing several pieces of safety equipment. We obtained a grain rescue tube used, in the event of grain entrapment , by first responders and gas meters, which monitor the level of several noxious gasses in the ambient air. This gave us the ability to develop hands on simulated activities that would give students the life skills required in the event of an occupational hazard. In addition, we were able to make contact with Dan Neenan, the manager for the National Education Center for Agricultural Safety (NECAS). Located in Peosta, IA, NECAS focuses on training individuals within the agricultural industry on safety procedures. During the week of March 25, 2013we implemented several of our learning modules targeted at improving student understanding of agricultural safety. These modules were designed as class activities requiring active participation by students enrolled in the Ag Safety & Procedures, and Ag Fertilizers & Chemical courses. Upon completion of these activities, students were certified in various aspects of occupational hazard safety. 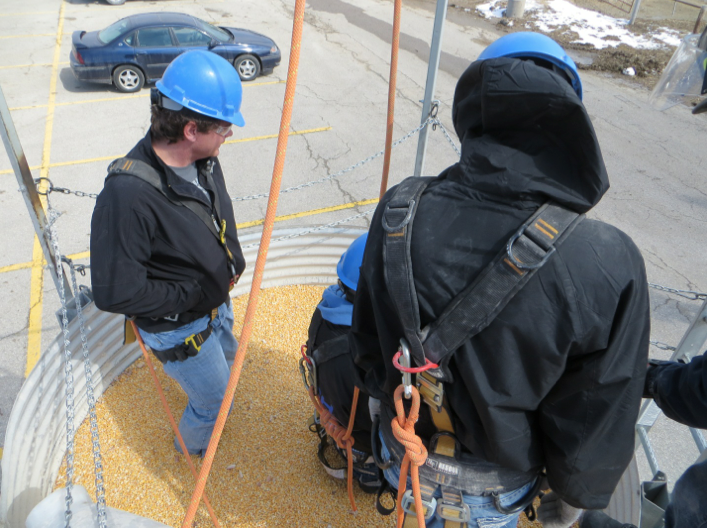 Additionally, students participated in climbing a full scale grain bin equipped with the required rescue apparatuses. 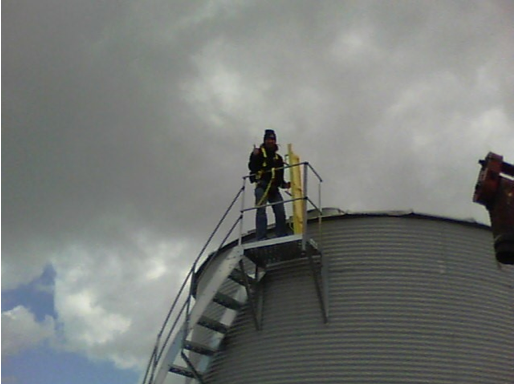 (Figure 4) This was used to demonstrate the physical requirements as well as the appropriate entry procedures associated with a grain bin rescue. 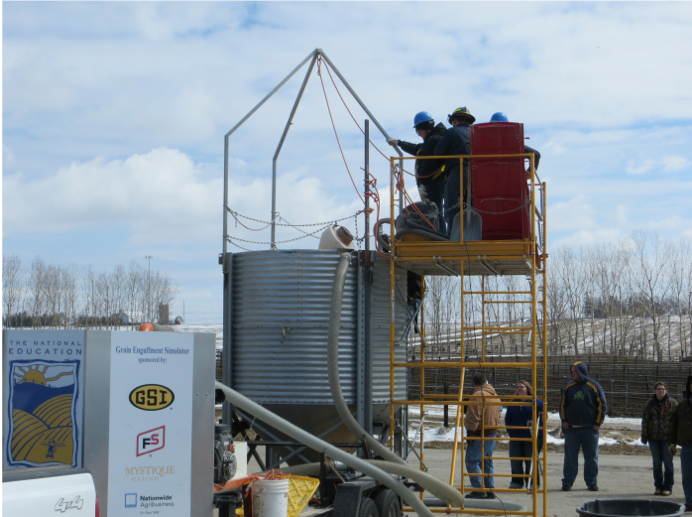 Emphasized throughout the activity was the need to contact the appropriate first responders and to allow safety personal to execute the appropriate safety operations in the event of an actual grain entrapment situation. In addition to the students activities related to grain engulfment, they were required to participate in using the gas monitor to read the ambient noxious gas levels of several environments around Kirkwood Community College’s farm operation. This allowed students to understand the potential hazards associated with manure accumulation and confined spaces. Students documented the different gas levels for later comparison. Occupational hazards in agriculture have been a serious area of concern for many involved in the oversight and operation of farm operations. Unfortunately, for many families, employers, and farm operation the mentality that “farm accidents are a way of life”, has been perpetuated for generations. By developing learning modules that specifically target different occupational hazards within the agricultural industry we aim at developing a culture of safety among Ag professionals entering the workforce. We hope this project will foster awareness and knowledge regarding occupational hazards within our department and lead to a more concerted effort to emphasize safety in our curriculum. We intend on continuing what was started with this program by developing more learning modules in the future, providing experiences that will benefit students and hopefully save lives in the future.